With respect to your item on cat bond spreads and the last point in your article (quoted below) I would like to comment. The other two price jumps – at the beginning of 2009 and 2012 – are hard to associate with events in the reinsurance market. But a plot of high junk bond yields shows similar movements which suggest a third factor. The financial crisis and Eurozone crisis offer good explanations for these price movements. The high cat bond spreads in 2002 also corresponded to a peak in junk in bond prices following the collapse of the dotcom bubble. I think that your argument that the price jumps in 2009 and 2012 are hard to associate with events in the reinsurance market (or for that matter 2002) are off the mark. In 2009 reinsurance companies were suffering extremely depressed equity valuations and the their subordinated debt (most of which was investment grade) was trading at extremely heavy discounts. So, although they may not have suffered significant catastrophe losses the capital available to the reinsurance industry at that time was very expensive. Indeed, it would have been very difficult in 2009 for insurance and reinsurance companies to raise new money if they had needed it. Why? Because the markets (both equity and debt) viewed insurance and reinsurance companies for what they really are – large investment vehicles with an insurance kicker attached to it. Catastrophe risk is a very capital intensive business and the cost of capital for re-/insurers was very high in 2009. 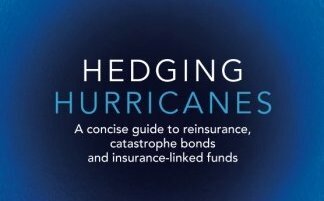 With respect to 2002 you might recall that there was an event in September 2001 that clearly impacted the reinsurance market from a loss perspective. Added to that was the emergence of reserve deficiencies in the balance sheets of insurers and reinsurers from the soft market of the late 1990’s up through 2001. So the industry’s balance sheet was weak, large losses had occurred and as a consequence the cost of risk transfer was high. The Dotcom bust had very little impact on the balance sheets of most US insurance companies as they had traditionally low allocations to equities and were not big holders of the speculative new dotcom instruments. European insurers were impacted by the declining equity prices in Europe but with the exception of Munich Re (due to its large primary activities and cross shareholding with Allianz) the bulk of this impact was limited to life insurers and large composite primary insurance groups with significant life portfolios and a high allocation to equity investments. The real driver of catastrophe pricing in 2002 was the impact of 9/11 and the fact that incumbent markets were suffering substantial adverse development in their prior year’s reserves, so prices increased across the board in almost every line of insurance (particularly in the US). And 2012? Why did prices move up? What about the $110 billion in insured catastrophe losses that occurred in 2011? New Zealand, Japan, Thailand and the US tornado activity? There may not have been a big hurricane in the US but 2011 was only the second largest volume in insured catastrophe losses after 2005.